Working with an extended network of media affiliates, The Prince Team consistently secures valuable and appropriate coverage across a variety of news outlets and publications. Some of their most notable mentions include features in VH1, CBS, The Real Deal, New York Post, Daily News, Real Trends, and Zillow. The Prince Team ranks among New York City's top luxury sales and rental re-sale experts. The award-winning group has achieved numerous record-breaking prices throughout Manhattan and Brooklyn. The team specializes in renting any property and working with Certified Property Managers to handle every detail from A to Z. With creativity, savvy negotiating and elite problem-solving, they are also known for selling properties where others have failed. They handle all residential property types, including penthouses, townhouses, multi-family buildings, condos and co-ops. They've also earned an esteemed reputation for serving the sports and entertainment community. Their long list of satisfied clients includes artists, actors, comedians and members of the NBA and NFL. Team leader Prince Dockery believes, above all else, that all clients, no matter how big or how small their budget, deserve to experience the art of living in their own way. The Prince Team is devoted to supporting this belief by providing a wide range of services, from assisting first-time renters to identifying large-scale development projects. Clients praise the Prince Team for their ability to close deals, execute smooth transactions, provide superior customer service and deliver critical attention to detail. 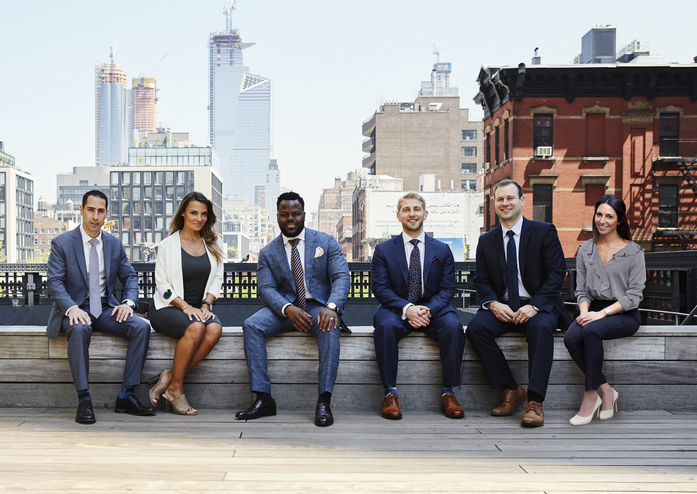 With deep roots in downtown Manhattan and a proven track record extending throughout the City and into Brooklyn, the Prince Team is comprised of leading representatives who bring a wealth of market knowledge and real estate industry expertise to every client interaction. This impeccable six-bedroom, five-bathroom New Jersey home is a beautifully maintained hideaway with a celebrity pedigree, located less than 20 miles from Midtown Manhattan. This Cresskill residence is fit for a king - a king of comedy, that is. As the former home of comedian/actor Tracy Morgan, the abode has been featured in the media numerous times, especially highlighting the $400,000, 3,500-gallon shark tank that was once housed in the basement. Enter the home's grand marble entry to find abundant oversized windows and skylights that embrace natural light and create a desirable indoor-outdoor feel throughout entire home. Gleaming hardwood floors, cathedral 28' ceilings, and ample use of stone and wood add to the woodsy retreat appeal. An ideal venue for gracious entertaining, the lower level includes a large formal dining room and expansive great room centered around the impressive double-height stone fireplace.